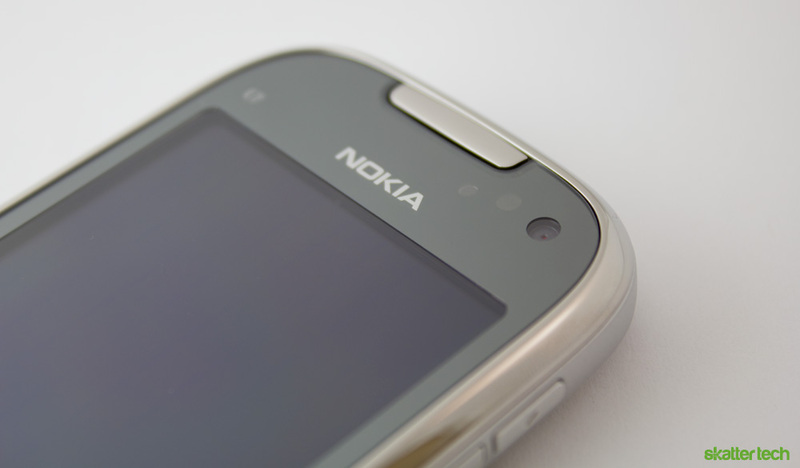 At CTIA Wireless 2011 last month, T-Mobile announced the Nokia Astound smart phone. Although Symbian powered devices are relatively little used in the United States, this operating system brings powerful features to customers at an affordable price. The phone, also known as the Nokia C7, boasts an 8 megapixel camera, a 3.5 inch display, Wi-Fi connectivity, access to the Ovi Store, a built-in navigator, and much more. Before going any further, I should note that I am new to Symbian and that my three weeks with the Astound was the first true chance I had to really dig into the software. Apple, HTC, Motorola, and Samsung do not have much to offer when comparing workmanship to Nokia’s robust design. 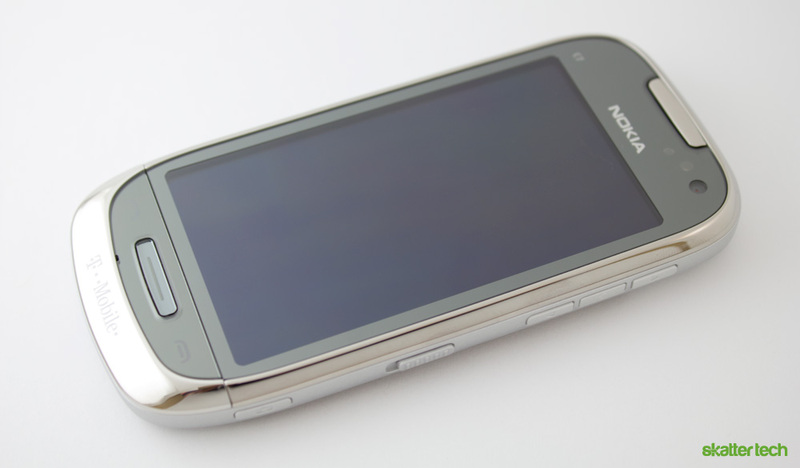 Like the Nokia E7, the Astound is also incredibly well-built. While many smart phones reap of cheap plastic parts, this one features a solid steel backing and a gorilla glass protected display. It is a bit heavier than other devices of the same class, but it also comes in at a pretty decent size standing 4.6 inches tall, 2.2 inches wide, and about 0.4 inches thick. 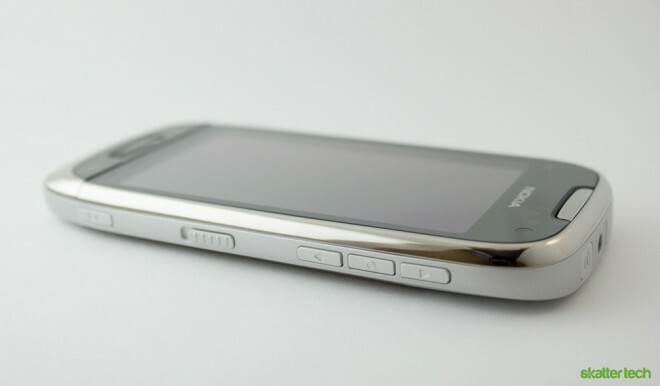 The Astound is definitely easy to hold or slip into a tight pocket compared to monstrous smart phones such as the large Droid X. Things get even more impressive when you learn that this phone survived getting run over by a four ton shuttle, twice. I doubt that too many other manufacturers can make a similar claim. 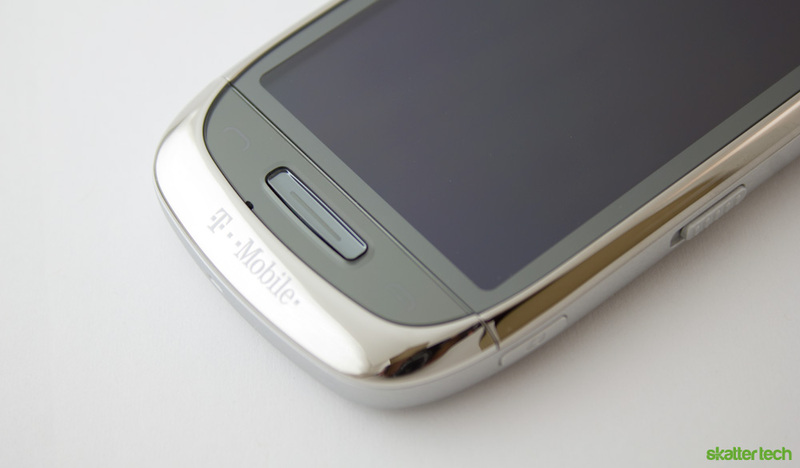 Being a T-Mobile handset, the Astound runs on GSM/EDGE. However, it can switch over to WCDMA automatically as well. For additional connectivity, Nokia includes WiFi 802.11 b/g/n and support for accessories with Bluetooth 3.0. For wiring in, a 3.55 mm head phone jack is on top and doubles for analogue video output. A somewhat recessed power button and a microUSB port companies it. An FM transmitter complements a built-in FM radio to let users enjoy audio with a car stereo for instance. Capacitive send and end buttons surround the physical menu button on the lower front face. The Astound also sports a lock key, volume keys, voice key, and a camera button on the right side. A 2 mm charging pin is the only thing on the left side. Nokia packs 8 GB of internal storage into this device, but users can add a microSD card for up to 32 GB of additional space. Other internals such as the GPS module or the compass are standard. I was glad to find that the Astound uses AMOLED for its 3.5 inch display. While the nHD 360-by-640 pixel resolution is not much to tout, the screen is actually visible under direct sunlight unlike other competing smart phones. The rich colors pop out at you through the bright display. The capacitive technology works smoothly with Symbian for a responsive experience. Interacting with the interface is easy with even the lightest touch thanks to great sensitivity. While not nearly as fluid as Windows Phone 7 running on the HTC Arrive, it still beats a handful of low-cost Android smart phones. Other complementary features are an orientation sensor for switching on-screen content to a landscape view, a proximity sensor to prevent accidental key presses, and an ambient light detector to save power. I unfortunately had a horrible typing experience. The on-screen virtual keyboard is quite cramped and tiny when held upright. The keys are in a grid-like layout, deviating from the normal QWERTY arrangement. Despite the fact that the iPhone 4 has similarly sized 3.5 inch screen, Apple makes typing a comfortable task. Switching over to landscape makes things a little easier, but the keyboard annoyingly takes over the whole screen like Android. I was glad to find Swype pre-loaded on the Astound. The predictive gesture-based input software makes text entry significantly easier. The keyboard even adapts to non-dictionary words, but I still think that many buyers would prefer to see a better traditional keyboard too. This is where things get iffy for users like me. The Astound runs on the latest and greatest Symbian^3 operating system. It has been around for ages and there are tons of long-time enthusiasts, developers, and companies backing it. Unfortunately things are about to take a turn since Nokia already announced plans to replace Symbian with Windows Phone 7 after striking a partnership with Microsoft. While the switch might not even happen during the lifespan of this device, the news essentially alienates and warns off potential buyers. Setting those concerns aside, I found that Symbian was a lot different from more recent operating systems such as Android and iOS. The intuition behind navigation feels odd even though it sports similar elements such as multiple home screens, icons, and widgets. The Astound has a fairly decent pinch-to-zoom enabled browser, but it lacks HTML5 support. interestingly enough, it offers Flash Lite. Other notable key apps include a calendar, contacts, music player, messaging, photos, and videos. The Ovi Maps app offers international navigation and even works without a data connection present, which gives it an edge over Google Navigator. Third-party solutions offer document editing capabilities, but Symbian only provides a viewer out of the box. A radio app lets users enjoy FM content with a pair of headphones plugged in. Users can transmit audio to other FM radio devices as well. Extra goods such as a to-do list, notes, voice recorder, calculator, and clock come pre-installed. There is even an RSS reader for those who need it. Access to Facebook feeds and Twitter streams is also a part of Symbian. Multitasking was actually quite easy and there is an easily accessible app switcher. As much as I tried to like Symbian, I can not seem to tolerate it after trying other mobile operating systems. It feels antiquated much like Windows Mobile 6.5 was before Microsoft choose to dump it. Nokia seems to have added yet another coat of paint to cover up the aging, but it does not help much when compared to ease of use, fancy looks, and intuitiveness of Android and iOS. 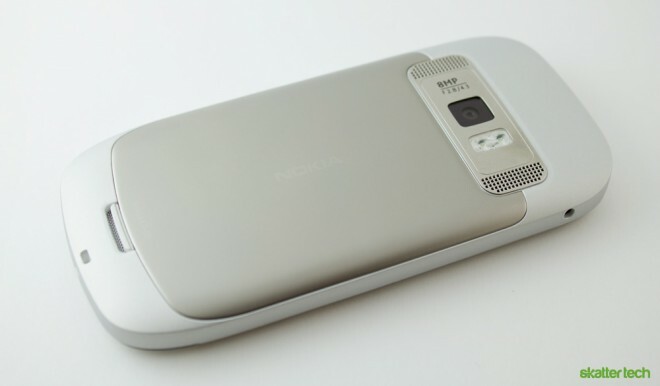 For photography, Nokia threw in a 8 megapixel camera with dual LED flash for low light conditions. The physical shutter button makes snapping images easy and on-screen controls offer access to several settings. Symbian launches the camera app very quickly, which was impressive. The Astound even has some neat additions such as facial recognition and geo-tagging. While the quality is still not on par with some other high-end smart phones, it is probably better than most phones going for the same price. A secondary VGA camera resides on the front face for video calls on WCDMA networks. 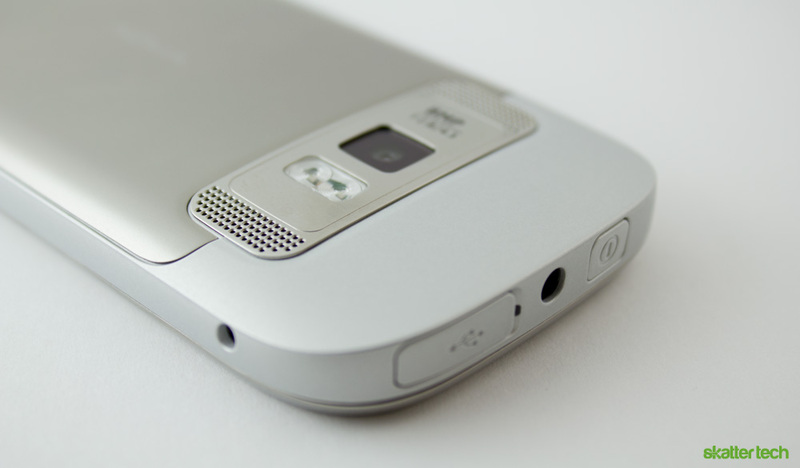 The phone also offers HD-quality 720p video capture with the option to enable the LED for extra lighting. Quality was nothing extraordinary, but the Astound can get the job done when you can not find a camcorder. Users can even output recorded content to HDTVs with additional cables. With a generation of Android “super phones” which barely last a day, I was not expecting much out of an even older operating system. The Astound runs on a mere 1200 mAh lithium-ion battery, which raised even more flags. Surprisingly, it turns out that Nokia’s hardware and software work together efficiently letting this phone keep running for at least two days on a single charge. A proprietary 2 mm AC wall charger comes in the packaging, but users can also turn to the microUSB port for slower recharging when necessary. Although I did not have a chance to fully test the talk time, Nokia claims 9.6 hours on GSM networks. That is a lot more than 6.3 hours on the popular HTC Thunderbolt smart phone. Nokia also mentions 6.5 hours of video playback, 3.8 hours of video capture, 2.6 hours of video calls, and 54 hours for music playback. I generally recommend staying away from low-end or mid-range smart phones since monthly subscription fees are not any cheaper. However, T-Mobile and Nokia make a compelling case with great pricing for both the up front cost and the monthly rates. You can pick up for just $79 after signing a two-year commitment or pay $299 to walk away contract-free. Unlike expensive smart phone data plans from other carriers, users can opt for a $10 per month package for just 200 MB of data. Paired with the cheapest calling plan, your monthly dues can be as little as $50. The Astound definitely does not have all the bells and whistles of the latest generation of smart phones, but it also offers a lot more than feature phones. In fact, it sits right in between the two categories of devices as a great mid-range solution. Nokia makes this phone a perfect buy for those looking for a taste of powerful device at the price of a low-cost handset.